Naturally (! ), powerful actors hoping to become still more powerful will try to convince those who might constrain them that they are ‘natural’, and should be allowed to do whatever they like, free from ‘artificial’ (i.e. ‘unnatural’) regulation. 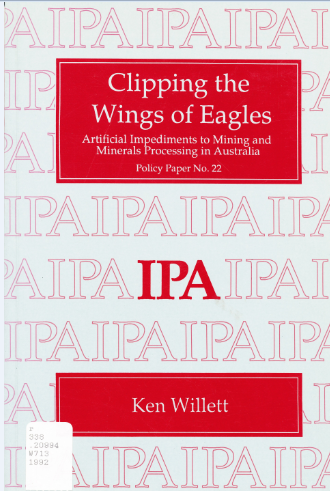 Two examples from the Australian mining industry (oh come on, you knew I was going there). The first I only stumbled upon yesterday, in the State Library of South Australia. It is a 1992 publication by the Institute of Public Affairs, an extremely neo-liberal ‘think’ tank and policy mill based in Melbourne. 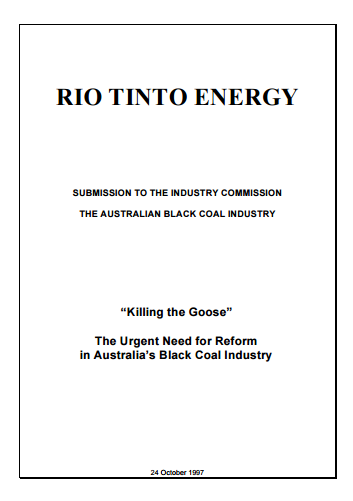 The second is Rio Tinto’s submission to the 1998 Productivity Commission investigation of the Australian Coal Industry.